Dubai: Dubai welcomed 15.92 million international overnight visitors in 2018, marking a new high according to the latest data released by Dubai’s Department of Tourism & Commerce Marketing (aka Dubai Tourism). Dubai’s top source markets delivered double-digit growth yet again to continue momentum towards growing the number of international visitors annually in line with Dubai’s Tourism Vision 2022-2025, in addition to driving even greater economic impact on the Emirate’s GDP. Continuing to expand its appeal as a global destination of choice, Dubai recorded a growth of 12 per cent over the past three years. In 2018, India led the momentum for the fourth consecutive year as the number one source market, with over 2 million overnight visitors. The Kingdom of Saudi Arabia (KSA) came in a strong second, remaining the highest traffic volume generator for the GCC, with 1.6 million visitors, representing a steady 3 per cent year-on-year growth. The UK, meanwhile, also retained its third place slot with an impressive 1.2 million British travellers visiting the city in 2018 – testament to Dubai’s enduring popularity in the market, despite Brexit conversations impacting overall outbound travel and consumption sentiment from the country. Helal Saeed Almarri, Director General, Dubai Tourism said the Department remains focussed on ensuring that Dubai becomes the number one most visited city in the world in line with Dubai’s Tourism Vision 2022-25. Traditional strongholds have retained their affinity for the city’s destination proposition, with India once again maintaining its number one position at the end of 2018. This has been fuelled by strong business partnerships with key industry leaders and tailored destination-focused campaigns, such as multi-award-winning #BeMyGuest, a collaboration with Bollywood superstar Shah Rukh Khan, as well as highly targeted seasonal activations to resonate with a diverse range of Indian audiences. “India’s status as the number one source market is reflected not just in overall tourism, but also for business events specifically, across conferences, incentives and corporate meetings, as well as the city’s annual calendar of exhibitions. 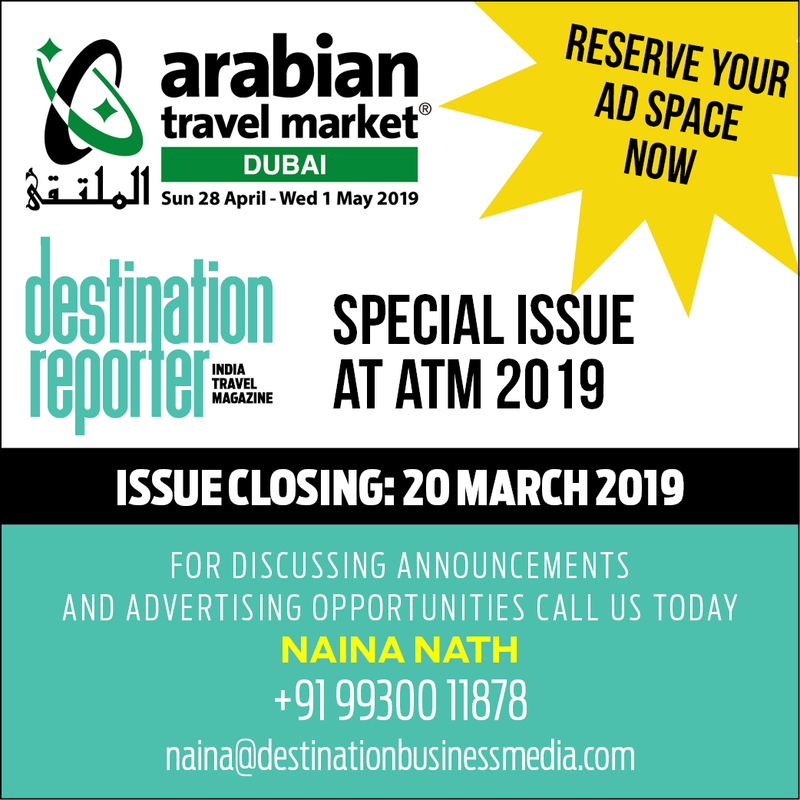 Overall, approximately 12 per cent of visitors to Dubai come for business purposes,” says Steen Jakobsen, Assistant Vice President, Dubai Business Events (DBE), Dubai Corporation for Tourism and Commerce Marketing (DCTCM). As the largest source market for international visitation to Dubai, India is an important focus for the Emirate from a business events and travel perspective. “DBE, the city’s official convention bureau, has a dedicated representative office and team in India that is always working and connecting with planners, buyers and industry professionals from across the country to extend our efforts. One of DBE’s goals is to further build advocacy, and continuously communicate the evolution of Dubai’s business events and wider tourism propositions for visitors. Among the ways this is achieved is to conduct roadshows across key markets to highlight the latest offerings and support offered by DBE and its stakeholders,” Jakobsen notes. In the 2019-20 fiscal, DBE will conduct eight roadshows across India. “The DBE team will be visiting cities in India including Chennai, Bengaluru, Hyderabad, Kolkata, Mumbai, Pune, Ahmedabad and New Delhi, and continue to look at opportunities to engage with the industry in more locations in the future. In addition, DBE participates in a number of industry specific conferences and workshops across India to promote the Emirate as a host city for meetings and incentive programmes,” he adds. Meanwhile, Dubai World Trade Centre (DWTC) has seen a 23 per cent increase in the number of business visitors from India in the last five years. The high-performing sectors for this key visitation market includes food and hospitality, healthcare, property and real estate, IT and finance, and automotive and transport. “Our flexible and content-rich events calendar has proven to stimulate trade activity with the wider region, and has increased quality networking, ensuring all participants see the highest ROI and tangible value from attending our events. The impressive growth in number of visitors also reinforces the remarkable potential for us to host and develop shows within these popular sectors to support scale-up and capitalise on international demand,” Mahir Julfar, Senior Vice President – Venue Services Management, Dubai World Trade Centre tells Destination Reporter. “There are three attributes that make for a great MICE destination — connectivity, quality hotel accommodation and hassle-free visa processing. Dubai scores on all these quite convincingly,” feels Karan Anand, Head, Relationships, Cox & Kings. “What’s more, they have transformed their destination and offer a wide range of shopping and sightseeing options and it is on par with other Asian destinations. It has world-class MICE facilities with an array of hotels across budgets thereby making it the natural hub for MICE business from India,” he says. For DBE, the number of successful bids secured during 2018 totalled 261. For meetings, conferences and incentives, this number represents a 24 per cent increase from 2017. The total number of delegates expected to visit Dubai over the coming years as a result of the successful 2018 bid wins is estimated at 1,53,640. The successful bids have projected an estimated economic impact of approximately AED 1.2 billion on the city. “In 2018 we confirmed 35 meetings and incentive programmes from India, representing 13 per cent of all bid wins. These events will bring a total of 15,450 delegates over the coming years,” Jakobsen informs. During 2018, the city’s hospitality sector witnessed an 8 per cent growth with the total number of hotel rooms reaching 1,15,967 across 716 establishments. The Emirate’s average occupancy rate reached 76 per cent and occupied room nights were up to 30.13 million, while for guests the average length of stay remained unchanged at 3.5 nights. “An important aspect of the growth of Dubai’s hospitality sector in recent years has been the increased diversity, with offerings not just in luxury properties, but also across the mid-market, lifestyle and boutique segments, meaning there are options for all requirements and budgets,” says Jakobsen. Dubai is home to an increasing number of unique and attractive destinations for business events. E2 Dubai South Event & Exhibition Center is one among them. Located in Dubai South district, E2 is a short drive from the world’s largest airport in the making — Dubai World Central. With more than 40,000 sq. m. of exhibition space, a width of 150 m., a length of 270 m., and a height of 12 m., it has been developed with a specialised understanding of the requirements of international business events. Dubai Arena, another major events venue, is scheduled to open in the second half of 2019. A 17,000-seat indoor arena located right in the heart of Dubai, it will be capable of holding international sporting events as well as large-scale business events. Dubai Opera is a definitive destination for groups looking to enjoy performing arts in the city. It passionately embraces its role as the creative heart of the city, producing and hosting the finest, most authentic, and engaging performing arts experiences from Dubai and the world. While the rich calendar of operas, concerts, ballet and musicals provide an ideal option to keep groups of all sizes entertained, the venue itself also doubles as a unique events and meeting space. La Perle is Dubai’s permanent theatre performance which is a must-see. The 90-minute show by Franco Dragone is a first-of-its-kind water-based, acrobatic show in the city. Finally, visitors can enjoy a thrilling Desert Safari as part of their Dubai experience. Dune bashing, authentic food, falcon show and live entertainment are among the few experiences that are a part of the Desert Safari. Dubai will soon be home to a new conference and exhibition centre which will be co-located at the Expo 2020 Dubai site. With state-of-the-art facilities, world-class hospitality services and an electric atmosphere, the Dubai Exhibition Centre (DEC) will create a unique and unforgettable experience for business delegates, exhibitors and visitors. This venue will offer delegates from every corner of the planet an opportunity to be part of Expo 2020 Dubai, which will bring together world leaders, innovators, artists, entertainers, entrepreneurs and more for a six-month celebration of human ingenuity and progress. DEC will provide an exceptional location for business events. In addition to its 28,000 sq. m. customisable exhibition space, the facility will also feature two theatres/auditoriums with respective capacities of 2500 and 400 guests; two 2000-plus capacity multi-purpose halls that can be combined for larger events; and 10 meetings rooms. The venue will also be able to accommodate audiences of up to 15,000 for indoor concerts. Additionally, wider infrastructure developments are also underway as part of the city’s plan to expand its offerings, including the expansion of Dubai’s hotel room inventory to 1,32,000 rooms by the end of this year, and the expansion of Dubai’s second airport, Al Maktoum International Airport, to handle 120 million passengers a year by 2025. With the theme, ‘Connecting Minds, Creating the Future’, Expo 2020 Dubai will serve as a global space for innovation. According to Jakobsen, a total of 190 countries have confirmed participation in Expo 2020 Dubai, together with businesses, multi-lateral organisations and educational institutions. “Expo 2020 Dubai is expecting to welcome a record 25 million visits with 70 per cent anticipated to come from outside the UAE, all between October 2020 and April 2021. The new Dubai Exhibition Centre, a 45,000 sq. m. facility co-located within the Expo site, is set to attract a large number of visitors and events during the Expo itself and as part of its legacy. This will directly and positively impact DBE’s aim to attract new business event bids and provide meeting planners with a new option. Expo 2020 Dubai will serve as a platform for a large number of international meetings and conferences to take place; the teams at DBE and Expo are working closely together to promote the opportunities during the six months of the event,” he says. Throughout 2018, Dubai submitted 557 business event bids, up from 354 in 2017, and among the wins awarded were those for bids submitted in previous years. Key bid wins from 2018 include the World Congress of Gastroenterology set to take place in 2021 with a total of 6000 delegates in attendance, the Mary Kay China Incentive set to take place in 2019 with 800 delegates in attendance, as well as the World Nut and Dried Fruit Congress, set to take place in 2020, which will bring 1000 delegates to Dubai. Other notable wins in 2018 include the World Chambers Congress, which will take place in Dubai in 2021 with 1500 delegates set to attend and the Congress of the Societe International D’Urologie that will bring in 2000 delegates to Dubai in 2021. In 2018, Dubai hosted the 57th edition of the ICCA Congress, a leading conference industry event that saw 1156 meeting industry professionals from 79 countries around the world gather in the Middle East for the first time ever to share knowledge, discuss key challenges and opportunities. The event, which took place from November 11-14, was the largest ICCA Congress ever held outside of Europe and included a host of educational sessions, social events for attending delegates, as well as the opportunity to participate in several CSR initiatives. In 2018, China rose to the number four position, with tourism volumes rising 12 per cent in year-on-year growth to bring in 8,57,000 Chinese tourists. Russia experienced a significant 28 per cent growth to move up two places landing at sixth position with 6,78,000 visitors in 2018, as China and Russia continued to benefit from the introduction of UAE’s visa-on-arrival visitor regulations and increased air capacity into the Emirate. German tourists continued to grow in strength as 2018 welcomed an impressive 5,67,000 tourists, exhibiting a 12 per cent increase over 5,06,000 visitors in 2017. The USA came in as the seventh top source market with 6,56,000 visitors in 2018 representing an increase of four per cent while the Philippines entered the top 10 for the very first time with 3,87,000 tourists to Dubai. The Emirate welcomed 3,48,000 overnight guests from France, with the country rising two ranks and seeing a 17 per cent year-on-year increase while Italy witnessed a nine per cent growth. A stellar 36 per cent spike from Nigeria brought the market back into the top 20, with 1,85,000 Nigerians visiting Dubai in 2018. These strong performances helped balance the decline in visitation from stronghold markets like Oman and Pakistan. From a regional perspective, Western Europe emerged as the largest contributor of overnight visitor volumes for 2018, commanding a 21 per cent share, to maintain its pole position from 2017. This was closely followed by the GCC and South Asia, contributing 18 and 17 per cent of all international visitations to the city respectively. North Asia and South-East Asia regions accounted for 11 per cent to reflect sustainable growth aided by Dubai Tourism’s international diversification strategy. The close proximity markets across the MENA region also delivered steady growth volumes of 10 per cent while Russia, the wider CIS and Eastern Europe collectively delivered nine per cent of the total visitation, a two per cent increase from 2017. The Americas and Africa, each, contributed six per cent of the volume base, and Australasia rounded off the regional mix with two per cent of market share in 2018, largely driven by stopover travellers. According to Helal Saeed Almarri, an integral component of Dubai’s success, therefore, has been the ongoing commitment to collaborate across the entirety of Dubai’s tourism ecosystem and foster robust partnerships with government and private stakeholders, including supporting the homegrown entrepreneur ecosystem. “We are committed to providing the necessary infrastructure and global distribution channels to all our partners, equipping large and small industry players with the outreach and access to our global networks. This is crucial as we continue to work towards our shared goals to support the city’s priority agenda to always offer something new and world-class in a highly democratised world of global travel,” he says. A top cruise destination in the Middle East, Dubai is also growing as a key winter cruise destination among tourists with year-round sunshine. The first ever cruise ship docked in Dubai in 1996, followed by the opening of Dubai’s cruise terminal – the first in the region – in 2001. The industry has grown rapidly over the past 17 years. In the 2001/02 season Dubai received 7,000 cruise passengers. The figure is expected to cross over 7,25,000 passengers for 2018/19. Looking for an out of-the-box corporate meeting or event? Dubai Frame garden area will perfectly accommodate your outdoor event requirements with the view of Dubai’s latest cultural landmark, Dubai Frame. The iconic structure ‘frames’ impressive views of Old and New Dubai while serving as a metaphorical bridge connecting the Emirate’s rich past with its magnificent present. Dubai Frame measures 150 metres high and 93 metres wide. Over 9900 cubic metres of reinforced concrete, 2000 tons of steel and 2900 sq. m. of laminated glass were used in its construction. More than 15,000 sq. m. of gold-coloured stainless steel covers Dubai Frame, which incorporates a ring design inspired by the Expo 2020 Dubai logo. Dubai Frame’s rectangular design was inspired by the ‘golden ratio’ of 1.618, which many architects and artists believe forms an ideal structural balance. The elevator to the Sky deck carries visitors 48 floors in 75 seconds. Your ultimate choice for a luxurious wedding! The premium property also offers private indoor and outdoor venues for business meetings and social gatherings. Featuring over 1000 sq. m. of meeting and banqueting facilities including the 828 sq. m. Creek ballroom, which fits up to 500 guests for gala events. Park Hyatt has five unique venues, all housed in one dedicated building with a private entrance and reception area. With 8000 sq. m. of meeting rooms, Grand Hyatt Dubai is one of the largest and most sophisticated luxury conference hotels in the Middle East. From corporate meetings to global conferences on a grand scale, the range of possibilities is only limited by one’s imagination. The 5-star venue features two ballrooms with LED video walls and multiple ambience lighting. Guests can also have access to show kitchen with 22 live stations. With four distinct properties – Al Naseem, Al Qasr, Dar Al Masyaf and Mina A’Salam, Madinat Jumeirah is the UAE’s leading resort for meetings and conferences. Surrounded by picturesque waterways and traditional Arabic architecture, each venue provides an abundance of services and amenities. From private meeting rooms and intimate restaurants to large ballrooms and the 4500-seater Madinat Arena, options are plenty.